Got A Great Tech Idea That'll Help The Unfortunate? 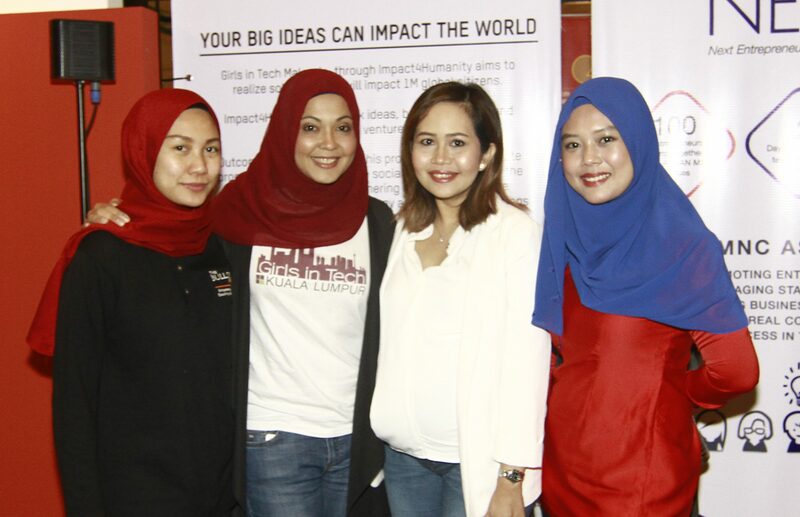 These M'sian Ladies Could Make It Go Global. Gender discrimination and biases have always been an issue particularly in the technology industry, so this organisation is on a mission to alter the skewed perception of society. Girls in Tech (GIT) is a global movement that focuses on engagement, education and, empowerment of women who show interest in technology. It gives support to women who are advancing their careers into this field. With a presence on over 40 countries, they have been increasingly making an impact on the world. The Malaysian chapter of GIT is only 3 years old, but have already been working on a new initiative that strives to create a positive social impact on millions of lives. We caught up with the team to find out a little bit more about them and their ambitious projects. Girls in Tech builds a platform for women to pursue their passion. With the growing awareness and highlighting of gender bias in the working environment, this organisation wants to unite women from all over the country to pursue their career in the tech industry. The NGO’s main objective is to give all female tech innovators a place to voice their ideas and have a chance to pursue their passion. “If the women do not adopt technology, they are going to be out of business,” said managing director of GIT Malaysia, Nadira Mohd Yusoff. GIT is determined to help ladies who are in the tech industry or those who’re interested but lack a chance to pursue this path and give them an opportunity to make an impact on a global level. A new initiative was launched by the organisation this year in order to do just that. Impact4Humanity wants to reach out to millions of lives through social tech innovations. Using GIT as a platform, Nadira plans to make this a global programme in the future through partnerships with the GIT global chapters, institutes, and local corporations. Impact4Humanity (I4H) is striving to bridge gaps in our society and bring social innovations from an idea to the actual marketplace. 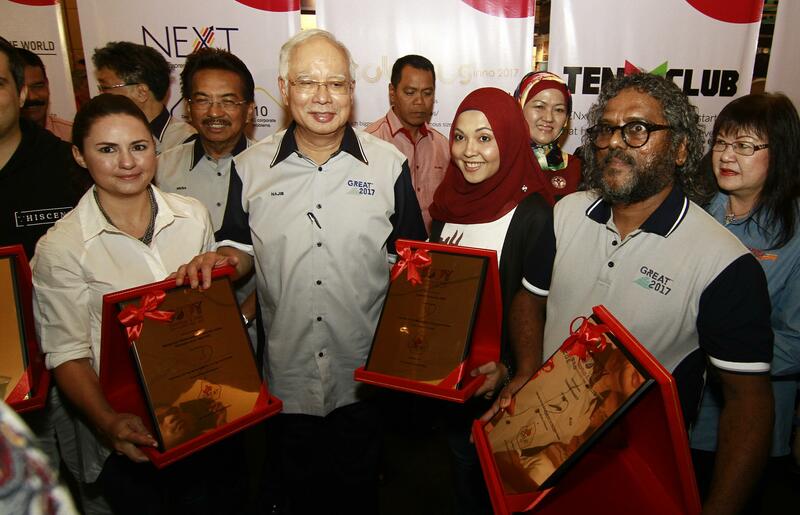 It’s a signature programme under the Startup & SME Promotion Year 2017, which was announced by the Prime Minister Datuk Seri Najib Tun Razak in October last year. I4H was launched in collaboration with the Ministry of Finance (MOF), National Strategy Unit (NSU), National Entrepreneurship Development Office (NEDO), and Malaysian Global Innovation & Creativity Centre (MaGIC). The aim of this initiative is to create a powerful social impact on 1 million lives and more through the development of leading technological social innovations—and showing society how gender doesn’t matter as long as there’s empathy towards the issues. The programme focuses on developing the most effective potential solutions for the identified 16 impact areas. They are working towards their aim through the contribution of social innovations and ventures from volunteers around the globe. “It’s a holistic approach of creating awareness not just on the impact areas and how solutions can be developed to solve them but also what kind of technology is best in order for them to create those solutions,” she said. They have several other projects that tie together with Impact4Humanity’s main objective. 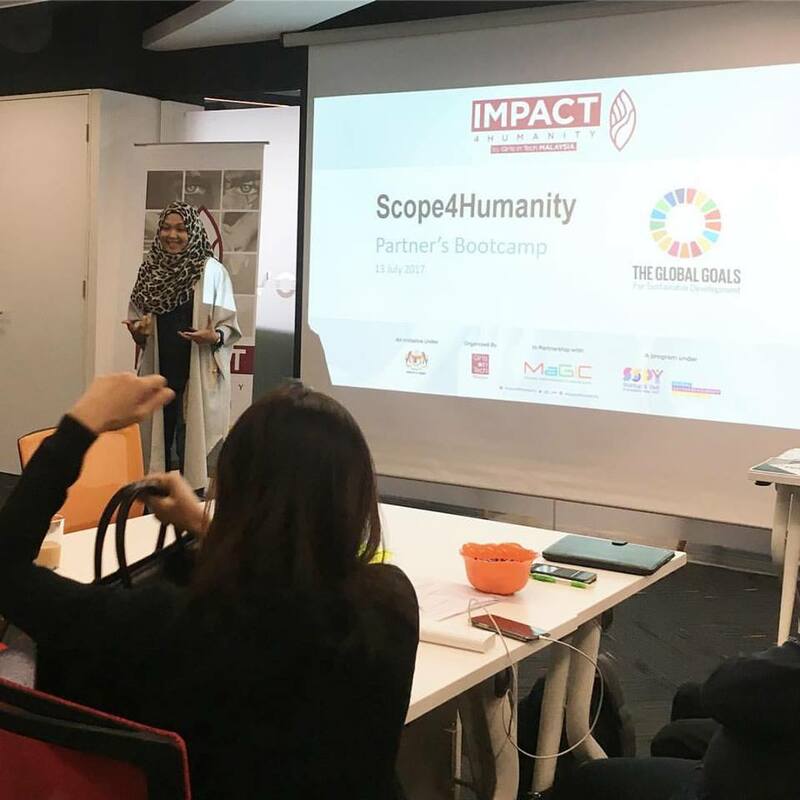 In addition to the current programme, they’ve extended to several side programmes such as Hack4Humanity (H4H) and Build4Humanity (B4H) as part of their process to spread awareness of I4H. “We are looking at a few outcomes for I4H. One of them is to create or rather catalyse high impact ideas. And we do this through our Hack4Humanity components,” Nadira explained. Hack4Humanity delves into the ideation aspect of things—where participants can propose their best social impact ideas. This hackathon came into being after the proposal of many members of the GIT team. They had strong desires and visions for to unite women to solve global challenges together. Their mission is to have high impact ideas identified as the first step to tackling the social issues. It’s definitely not an easy feat to come up with social tech ideas and the organisation understands the value of all these ideations. “We always feel that technology will only become innovation once they are put into market and create values. And we look at social innovation. It is an innovation that creates that kind of impact to humanity,” Nadira said. Ideas which show great promise are brought over to another programme called Build4Humanity to be immediately started on. This particular programme is focused not on the idea but the actual creation and development of the prototypes of all the selected innovations—it works as the extension of H4H and it’s necessary to tackle the social impact areas. “It’s a programme that rapidly build prototypes, and we work alongside with our impact investors, to come in and invest in the development of these prototypes,” she said. Nadira and her team are also working on creating new programmes and platforms that would contribute towards their goal. Speed Geeking plays a part in the initiative—it’s a programme that matches entrepreneurs with technologies—to commercialise the technologies that’re already in the market. They’re also planning to feature a new platform named SOLVE—that works much like Speed Geeking but with problem solving instead. “SOLVE is the platform that will enable society to solve societies problem. We match problem solvers with problem areas, we match problem solvers with people seeking solutions and we match them also through funding mechanism, in order for us to expedite solutions into problem areas,” Nadira mentioned. GIT is looking for support from others to join in their quest. “Therefore, we are working a lot more on strengthening partnerships in order for us to make this programme towards a better reach,” Nadira explained. “The progress of I4H has been very positive. Of course there are challenges that we faced, but it is positive and encouraging to see that they are slowly working together, slowly working towards the common goal,” she shared.